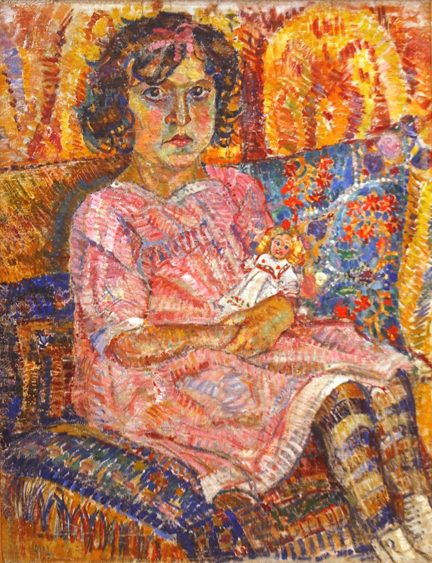 Studied at the Kiev Art School under G. Dedchenko and I.. Makushenko (1909-1911), in the studio of I.Mashkov in Moscow (1912-1913). From 1913 onward participated in exhibitions. Member of aassociations “Jack of Diamonds”, “World of Art”, AKHRR (Association of Artists of Revolutionary Russia), OMKH(Society of Moscow Painters) (1928), “Moscow Painters” (1925), “Bytiye” (Existence) (1926), “Wing” (1927). In the search of his own expressive means in painting the artist passed a way from impressionism and cubism to attempts of creating works conforming the spirit of the time, but these attempts failed. 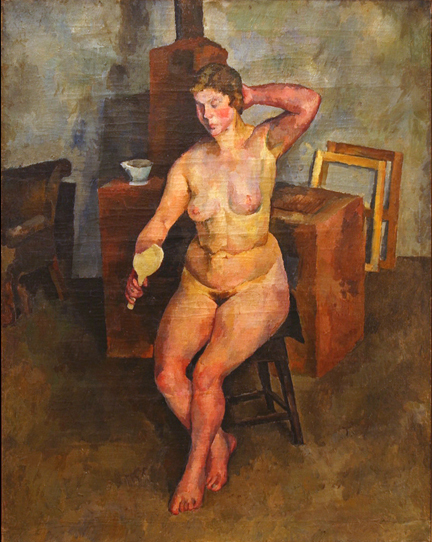 In 1948 Osmerkin was expulsed from the staff of the Moscow Art Institute named after Surikov and from the Leningrad Academy of Art accused in formalism and cosmopolitism.